Dogwood Cottage has partnered with Dog Gon’ Good Time, to fulfill our walking services! We thoroughly researched and identified a walking partner with operational and foundational synergies. Jess and Joce Aston, of Dog Gon’ Good Time, have built a company focused on the same love, attention, safety and care that we prioritize here at Dogwood. We are thrilled to continue this important service through Dog Gon’ Good Time, and are confident you’ll be impressed with their care and communication as well. Dog Gon’ Good Time, was established in 2013, by two sisters – Jess and Joce. 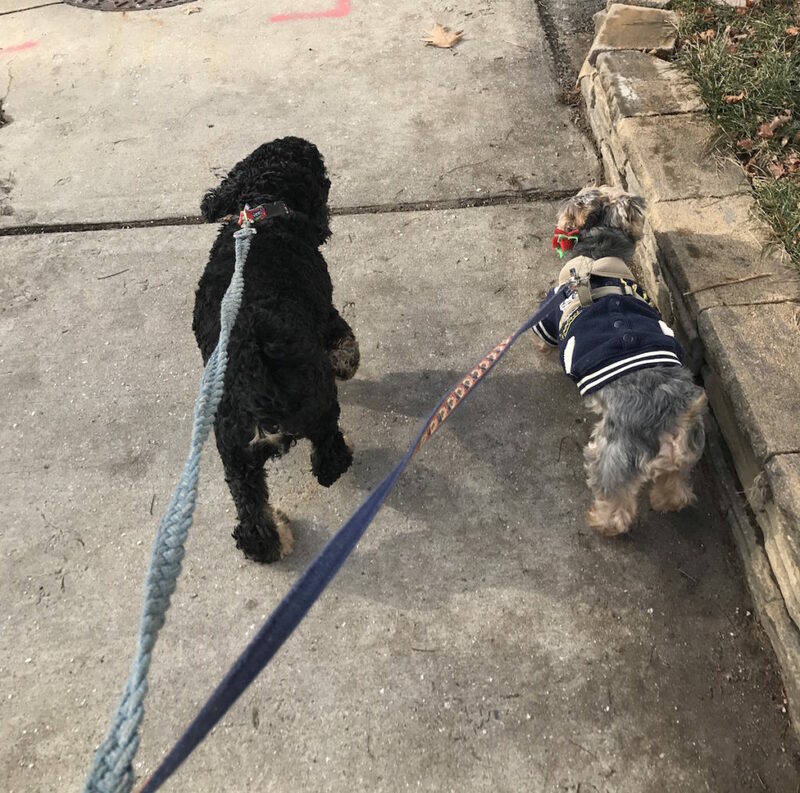 DGGT is a professional dog walking and pet sitting service, who services multiple towns: Saugus, Melrose, Lynn, Lynnfield, Peabody, Malden, Stoneham and Wakefield. We practice a “force free” philosophy and believe this is not only beneficial to our animals, but it’s a much more pleasant experience for our team. Our team is CPR/First Aid certified, bonded/insured, undergoes a rigorous two week training program and is often educated in dog behavior and walking techniques with expert behaviorists and trainers. DGGT always strives to be transparent, reliable, flexible, trustworthy, and dependable. We also offer a convenient and user friendly software program, for scheduling, communication, invoicing and more! With that being said, who you choose to continue your walking services is entirely up to you, but if you decide to move forward with DGGT we know you’ll be more than satisfied! Keep in mind, walks are always available to dogs in boarding or daycare!